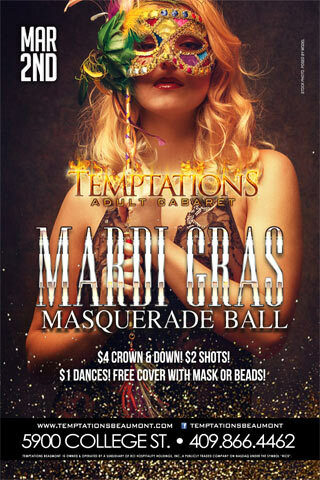 Come celebrate Mardi Gras with us at our annual Masquerade Ball! $4 Crown & Down! $2 Shots Specials! $1 Dances!